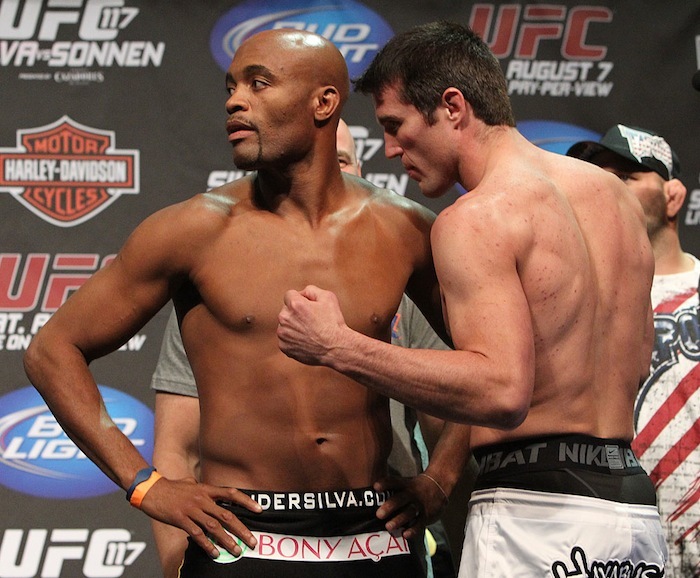 While Anderson Silva wasn’t able to break any of Chael Sonnen’s bones as he had promised in the pre-fight press conference, he was still able to defeat Sonnen by TKO in the second round of their rematch this weekend at UFC 148. Their first fight was a thriller at UFC 117 in which Sonnen dominated an injured Silva for four rounds before Silva was able to slip Sonnen into a submission move. During the press conferences leading up to the bout, Sonnen continuously disrespected the champion, and it appeared that the trash talk had finally gotten to Silva. “I’m going to beat him the way his parents should have beat him to teach him some manners,” Silva said during a conference call. 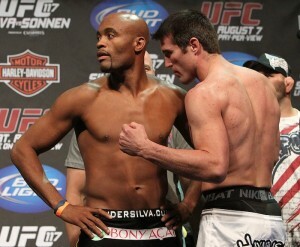 Unlike their first battle, Silva didn’t need any miraculous finishes to claim victory. After spending the majority of the first round on his back, Silva was able to take advantage of an ill-advised attempt at a spinning backfist by Sonnen to go in for the kill. Silva landed a vicious knee to Sonnon’s chest and pounced on his opponent, landing several blows to the head before the referee stopped the fight. The victory was Silva’s 15th consecutive win inside the octagon as well as his record 10th straight middleweight title defense. He stands the definitive UFC Middleweight Champion!